When Nitin Bishnoi of Lucknow, India settles in to read his favorite science fiction novels, the adventures usually stay within the books’ pages. But this summer, Nitin is going to be going on his own type of science adventure while he undertakes a research internship at Queen’s University under the guidance of Professor Mohamed Ibnkahla in the Department of Electrical and Computer Engineering. The third-year electronics and communications engineering student from the Indian School of Mines will be contributing to more energy efficient heating and air conditioning systems in commercial buildings. The goal of this Mitacs Globalink project will be to implement a wireless sensor network of devices which will communicate with each other to monitor environment conditions such as temperature and pressure, turning on or going to sleep on-command. The sensor network can then use this information to make “smart” decisions, thereby saving energy in their own use as well as saving energy as the building heats or cools according to current conditions. 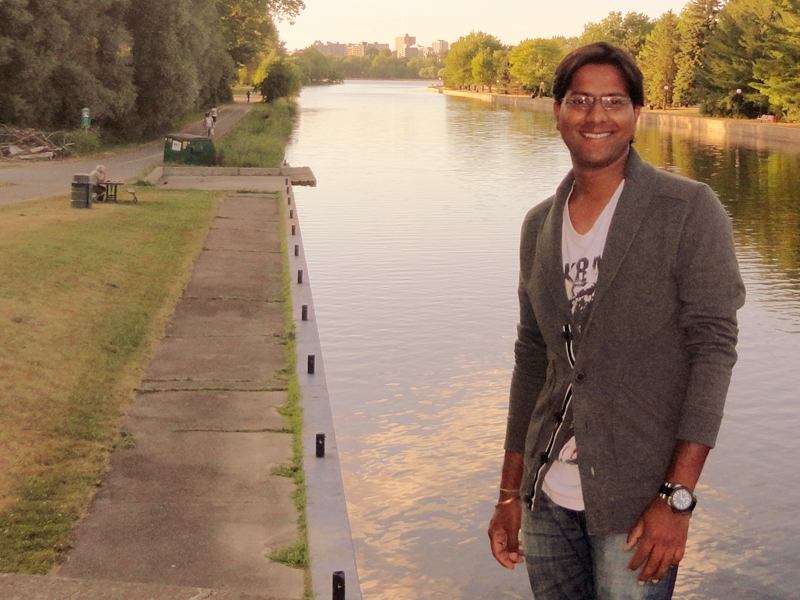 For Nitin, coming to Canada for the summer was an adventure in a number of ways as he had never travelled away from home on his own before. This led to new adventures in cooking for the student. “My mother is a great cook so I have had to start learning how to do it for myself!” But, he says, Canadians have been helpful and understanding as he learns the ins and outs of research —and life — in Canada. Mitacs wishes Nitin the best of luck on his future research and entrepreneurial adventures!